Sorry as I’m sure it’s been asked before, but can I downgrade from my BA PP Amex to the standard BA Amex card, get a pro-rate refund of my fee and still keep my 2-4-1 vouchers? I have two vouchers already and my card year is about to start again. Was thinking of getting to my 10k limit to trigger a third voucher (which will take 3 months) and then downgrading. Please let me know if there’s something smarter I could be doing! Thanks. Yes, you can. You can also cancel your card and still keep the vouchers. I used mine. Then BA cancelled my flight the night before departure. Gave me the voucher back with only 8 weeks to use it. Surprisingly no availability left on anywhere decent. Phoned them to explain and ask for an extension and they said it was an Amex voucher and tough. Amex said they would look into it, but still showing as expiring in a month. Peeved is not the word as I had 2 First to Tokyo on it. Probably have to use it to Tallinn or some such now. I have another two behind it but not really the point. “Then BA cancelled my flight the night before departure”. No rerouting and potential EC261? Yes, they offered me an earlier flight but I was at a wedding oop norf and could not reach LHR in time. They offered so I believe I have no recourse there. Still, I feel they should replace/extend the voucher but they so no, it is an Amex responsibility. Amex are being polite but, as yet, no change in the expiry date. They should have offered you a flight later as well, or if they couldn’t the next day then on a different carrier. Absolutely Wivus – you’ve had the wool pulled over your eyes. I recall the major cancellations sweep to TYO. You could have flown on the slightly later JL44 even. OT, but credit card related and no bits today, I’m trying to do a self-referral from an Amex Plat, but the referral link says bonus points for Amex platinum, gold or green only. If the application is for another Amex card (nectar or spg) will I get the 18k points. Thanks. Yes, I’ve got the 18k bonus when referring myself and OH for SPG. For HSBC premier account the ‘savings’ requirement can be very low if you earn over 75k. I did it with £200 in a HSBC global investment centre fund….. it is now worth £240! OT credit card related. Has anyone received a bonus on SPG Amex for first supplementary card? If so how many points? I gambled…. and never got any points initially. But after i argued it with the online chat for about 3 months saying the online advert i followed did not stipulate the card type. They then agreed i should get 3000 points for an SPG supplementary card. I still didn’t receive the points so i called Brighton and had the 3000 points awarded within minutes. Whether that was because i was entitled to them or compensation for arguing for 4+ months i don’t know. you can’t pretend to be your wife ‘online’ via the Amex chat facility? really? OT: CC related. I’m an Amex plat card holder. Can I refer a friend who has a gold charge card for an upgrade to plat? I know you can refer for another Amex but can’t find anything on referring for an upgrade so they still get 20k MR on £1k spend. I think for mere mortals, that can’t push huge amounts through the card, then the earning per £ spent becomes almost irrelevant, and the majority of points comes through churning and sign up bonuses. I’ll push £10k through BAPP in a year, the 15k Avios I’ll earn through that won’t get me far, but the 90k Avios earnings through Amex platinum referrals will. I agree that the referral bonus points are a massive deal and need not be underestimated. then make a real push with manufacturing spends to get the 241 voucher once every 12-18 months. Good way to look at it, never thought about it that way before…. Sorry another OT – my wife’s Curve card is very new so is being declined when trying to pay HMRC. Is it ok if I pay her taxes with my Curve card? Will HMRC have any issue with that? Thanks. No. Just paid my taxes with wife’s card – since my MBNA American Airlines card was on her Curve (she is a supplementary AA card holder on my account) and Curve won’t let you have two cards with same numbers on different accounts. Thanks Colin appreciate the reply! That sounds annoying – was just waiting for my curve to be delivered for the same reason, but sounds like it will not work as easily as I hoped. Does this only apply to the (dying) MBNA cards? Are VM principal and supps the same number? My Virgin Rewards+ principal and subs are different numbers. I’m hoping that New Horizon doesn’t have the same issue with numbers – but I have a sneaking suspicion they might. Yeah it’s pretty annoying, not sure how long it takes for their security to ease off. The payment that was declined was only £800! 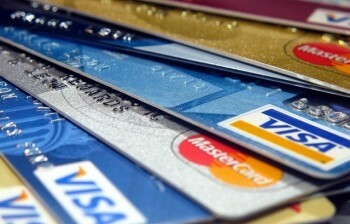 Don’t forget to check the credit limit on the underlying card, and the Curve Card daily / monthly limits. It needs careful management if you are trying to maximise it all. You might have have to make extra payments to the credit card before any auto D/D payment goes through. Just email curve, they are pretty good at responding. NB it could be your underlying card that is declining the payment. What do we think will happen to the Starpoints earnings after August 1st? Will they still be posted as 1 x Starpoint on Amex and converted x 3 when they are posted to the SPG account? It will be 3:1 – looking at the note on my last statement the card will be advertised as 3 per £1. I got an SPG Amex three weeks ago. There has been no mention at all throughout application process, or since receiving card about the changes to earning rates or merger of schemes. Everything just says 1 point per pound spent. You are not worse off though so there is no legal need to notify you. Can anyone help? My husband had Amex BA Premium and then DG to Amex BA basic, he wants to upgrade again but his credit rating has suffered since Amex rejected him for SPG card (excellent – fair) do you know if Amex do a full credit search when upgrading from basic to premium or is it more simple because they are not giving a new credit limit just switching it from one card to another? Thanks for any help you can give, don’t want to mess his credit rating up even more! It’s not really “upgrading” and “downgrading”. Each and every application is a new application and Amex have the right to perform a full credit search – sometimes they do, sometimes they don’t. Should be ok now but if paying big chunks I would look for a better reward from, say, IHG Premium. Yes indeed – get Intercontinental free night, shed-loads of points and IHG Spire status!! no you won’t offset it by earning double points at Tesco ! good luck trying to offset that abysmal rate with double points on Tesco shopping ! Indeed. Use the debit card (until April next year anyway). On-topic, for once, I’m not a big fan of keeping outstanding credit. Is there any way to setup a direct debit to pay off a BAPP balance in full each month? Nobody should be getting a rewards credit card if they are running a balance, unless it has 0% interest. The Lloyds Avios card had 0% (now closed), I think there is a Tesco one. Otherwise if not 0% then the interest paid on the balance is much more costly than the rewards earned. On the Amex website in your account under card management you can set up a direct debit for the full balance. My thoughts exactly, just wanted confirmation that I could set it up automatically, because I’m not always very reactive. As stated, the direct debit hits well before the due date. I make the DD for the minimum amount nd they send you an email confirming the amount paid so you can pay the rest on the due date. Also useful if you need direct debits on a current account. i tried to get Amex to use a more sensible date – but they couldn’t understand why i wouldn’t want to pay it off a week before it was due ! eventually i gave up, and just pay it manually every month. You can set up a DD to pay in full in the Account Management section when logged in to your Amex online account. What is the best way to downgrade to the Amex Rewards card? Should I apply for it directly or ring up and ask them to switch my Amex Gold to the rewards? Has anyone used Curve to “Double Dip” rewards? IE: Pay with AMEX, earn the points, then pay the AMEX with Curve linked to a rewards card? – I assume it’s against T’s &C’s? Curve call it Cash Recycling, and will blacklist you! I messaged Curve about it a few weeks back and they replied saying it was ok to do and even went as far as saying Amex do not know what underlying card I am paying with. Maybe if you don’t make it too obvious it won’t be a problem. Interesting – their published Fair Use Policy seems to contradict that. My partner naively tried to pay Amex with Curve and it was declined. I believe this is expected behaviour. O:T, credit card related. I currently have the SPG Amex card and should hit the 1000 pound spend in the next few weeks. I’ve not totally understood the merger. What will happen to the SPG points after 1st August? 1:3 conversion into the new scheme.